The first time I went to Texas Motor Speedway, it was breaking ground and cutting ribbons. Bruton Smith flew in the NASCAR Media Tour to watch. When we got off the plane, a band was playing something like “The Yellow Rose of Texas.” A few concrete columns had already been buried in the ground at the site. A bus took us to the Fort Worth Stockyards, where we hit the chow line for some barbecue. Thomas Pope tried to make conversation with the gray-haired lady doling out brisket by telling her about how they buried a pig in the ground back in the Carolinas. When I think of Martinsville, Va., I imagine shivering and blowing on my hands. It’s bound to rain, most likely a drizzle, sometime during the weekend, whether spring or fall. I see stern officers of the law, wearing flat-brimmed tan hats, in uniforms more likely to display forest green and brown to set off the tan. Navy is less common in the attire of southern Virginia deputies. Oh, I reckon this latest hurricane will have cleared out by the time Sunday rolls around in eastern Alabama. It will have cleared out of here by then, too, based on all those models with capital letters and numbers. Sometimes you feel like a nut. Sometimes you don’t. Almond Joy has nuts. Mounds don’t. In the short run, I enjoyed the heck out of the races, particularly the Monster Cup one on Sunday. I like everyone who was in position to win. Kyle Larson is Kyle Busch with good taste. He’s sort of Charlie the Tuna. For some reason, Larson doesn’t win that often, or not often enough to suit me because I think he’s got so much talent, he ought to have 10 wins this year. Kyle Busch seems to win most of those races because, as you know if you’re as old as I, Starkist doesn’t want tuna with good taste. Starkist wants tuna that taste good. A new era of closer and more intense NASCAR racing competition will begin when the green flag drops for the 2019 Folds of Honor QuikTrip 500 at Atlanta Motor Speedway. 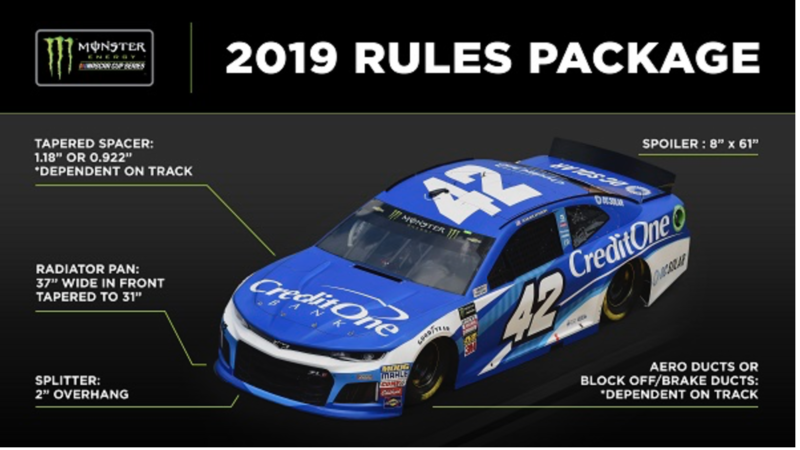 NASCAR today announced a new rules package for Monster Energy NASCAR Cup Series cars that will provide closer competition. The new package calls for a longer 2-inch splitter overhang at the front and a taller 8-inch spoiler at the rear of the car, as well as a radiator pan that is 37-inches at the front and tapered to 31-inches at the rear at all tracks in 2019. I’m not fond of the term “roval.” The road courses that use both infield and oval in Daytona Beach and Indianapolis aren’t called rovals. I’m surprised it’s not a new prescription drug (“In rare instances, Roval has been known to cause understeer in mice.”) or a cereal that sounds healthy but isn’t. It’s going to be ubiquitous on TV. They’re all going to say “roval” as often as they say the reigning Monster Cup champion’s name without one of its letters. Martin Trex Jr. loves this roval! They’re off. For a short period of time, only NASCAR is in the playoffs. Baseball will arrive shortly. Football is a long way off. 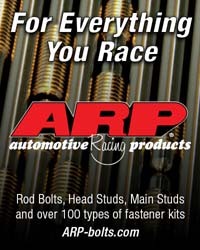 This should be stock car racing’s time to shine. But it’s not. Four drivers have had superlative seasons. In the unlikely event that the playoffs actually wind down fairly, those drivers – Kevin Harvick, Kyle Busch, Martin Truex and Brad Keselowski – will decided the Monster Energy NASCAR Cup Series championship between them. Not that NASCAR or anything else is fair, by the way. 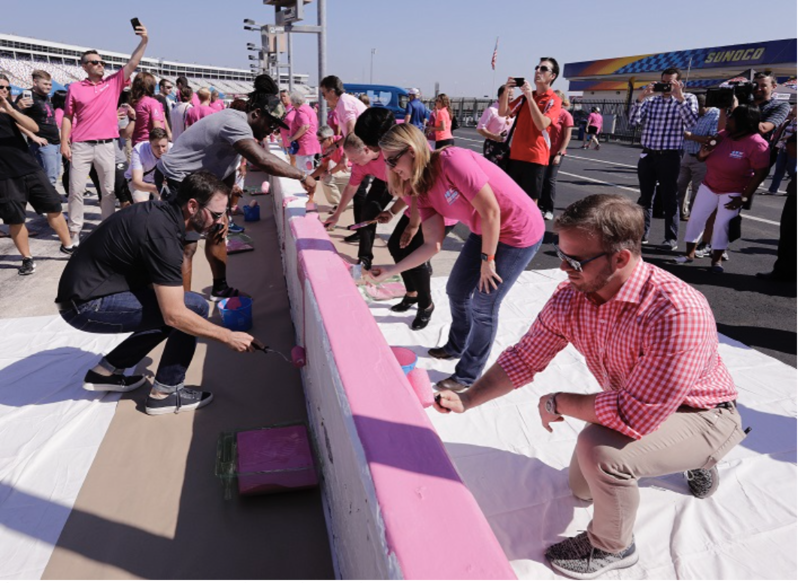 Joined by hundreds of breast cancer survivors, seven-time NASCAR Cup Series champion Jimmie Johnson, fellow drivers Chris Buescher and Kaz Grala and legendary Carolina Panthers running back DeAngelo Williams painted Charlotte Motor Speedway’s pit wall pink on Thursday. The fifth Paint Pit Wall Pink event featured a collection of Blue Cross and Blue Shield of North Carolina employees helping an all-star cast of dignitaries and breast cancer survivors in adorning the speedway’s wall with a bright shade of pink to salute breast cancer awareness. NASCAR today announced that Steve Phelps has been named NASCAR President, effective October 1, 2018. Brent Dewar has elected to step down and will remain with the company through the end of the 2018 racing season, transitioning to a senior consulting and advisory role in 2019. 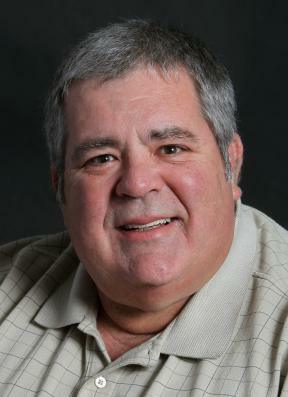 Phelps will assume the duties held by Dewar and will report to Jim France, NASCAR Chairman and Chief Executive Officer. As President, Phelps will have responsibility over all competition and business operations for the sanctioning body.